If you have a passion for 3D modelling and animation, then this course could give you the new skills to develop your existing career or help you take your first steps into a new career. Using the same software and hardware that you can expect to use when you move into your first industry role, during the course you will produce highly finished, professional content that builds into a portfolio that will impress future employers. You will learn how to model complex objects, using techniques such as unwrapping and texturing, while developing high quality 3D environments. You will then populate these environments with original characters, bringing them to life with the latest animation techniques. It is a 42 week intensive course that will give you the opportunity to learn from a seasoned industry practitioner. The tutor on this course has a passion for animation and an enthusiasm for passing on his wealth of knowledge to a new generation of animators. This is a course that is ideal for students that may already work in a design related field, but have an interest in developing their 3D and animations skills. Designers, architects, product designers or people working in other forms of visual design will be able to use the skills gained on this course to improve employability while supplementing their existing knowledge. The course is also perfect for anyone who is keen to make a start in the 3D modelling and animation industry as it assumes no prior knowledge and will take you from the basics to advanced techniques quickly and efficiently. 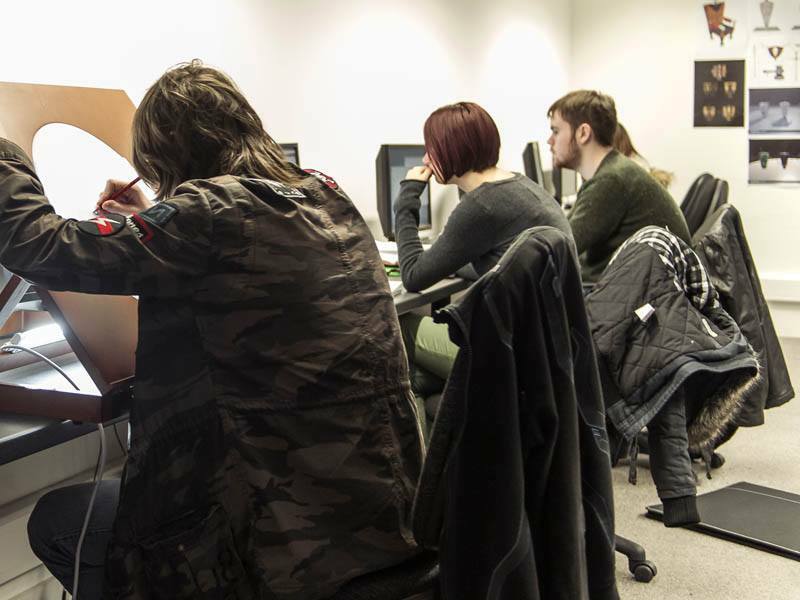 This diploma will give you the essential skills needed for a career in 3D modelling and animation, working within traditional 3D design areas such as television graphics, game design and visual effects. However, as 3D design becomes more prevalent across an ever widening spectrum of industries, the course will equip you with the transferable skills to take advantage of many opportunities within the creative sector.